What is Bitcoin backed ERC20 (WBTC)? How could it change the Bitcoin – Ethereum interaction? WBTC is a Bitcoin backed ERC20 token that combines the liquidity and public awareness of bitcoin with the developer ecosystem of Ethereum. The hype around innovations in the crypto space seems to come in waves. In 2017, we saw the rise of utility tokens and ICO’s. 2018 has seen the rise of security tokens and stable coins. Now as we head towards 2019, it looks like an innovation called ‘Wrapped Bitcoin’ (or WBTC) may start generating a lot of buzzes. 5 Could WBTC replace ETH? WBTC is a bitcoin backed ERC20 token. It takes the concept of a stable coin (a cryptocurrency that is backed to a ‘stable’ asset like the US dollar or some other fiat currency), and applies it to Bitcoin, allowing the value of the WBTC to be pegged 1-to-1 with BTC. The invention is being developed by Republican Protocol, Kyber network and crypto custodian BitGo and is set to launch in 2019. Its primary objective is to combine the liquidity and public awareness of bitcoin with the developer ecosystem of Ethereum. Loi Luu, Kyber networks CEO, views WBTC as a tool to help expand the usage of BTC into areas like exchanges, loans and token payments. The companies behind WBTC will be forming a Decentralized autonomous organization specifically for this project. This DAO will serve to perform on chain auditing of WBTC to make sure it is always backed at a 1-to-1 ratio with Bitcoin. One of the main features Republican Protocol is Atomic Swaps, which enable cryptocurrencies to be transacted across different Blockchains. WBTC opens the doors for atomic swaps to be used by merchants to exchange between BTC and WBTC. This essentially means being able to pay for things that are denominated in the ERC-20 token with Bitcoin, and vice versa. This innovation would boost the adoption of Bitcoin by creating utility for it across various Dapps. Furthermore, by using WBTC, it should become faster and cheaper for users to send Bitcoin than it would on the Bitcoin network, which can become quite expensive during times of high traffic. As hundreds of new Dapps continue to be released, it helps to be able to use a cryptocurrency that is pegged to Bitcoin to gain access to services on these Dapps. For example, a Dapp like Augur could have all predictions wagered in WBTC as opposed to ETH. Similarly, decentralized exchanges on Ethereum could have the WBTC token as the base currency that everything trades against. In both cases, it gives these applications access to the massive liquidity of Bitcoin, opening the door for larger investors to put their money in more ERC20 tokens and Dapps. ICO’s would also now be able to raise money in Bitcoin, since WBTC functions on the Ethereum network and can be incorporated into ICO smart contracts. There would be no need to choose between running a Bitcoin node, Ethereum node, or any other ERC-20 token node. The development of an ERC-20 token that is pegged to the price of Bitcoin opens up new possibilities for smart contract based investment vehicles. Investors could decide to purchase BTC by purchasing WBTC through a crypto fund. By holding WBTC, investors can use smart contracts to ensure things like monthly dividend payouts or customize their level of risk tolerance by automatically trading in an out (or between funds) based on their returns. One of the fascinating implications of this innovation is its potential to turn Ethereum into a ‘2 token network’. 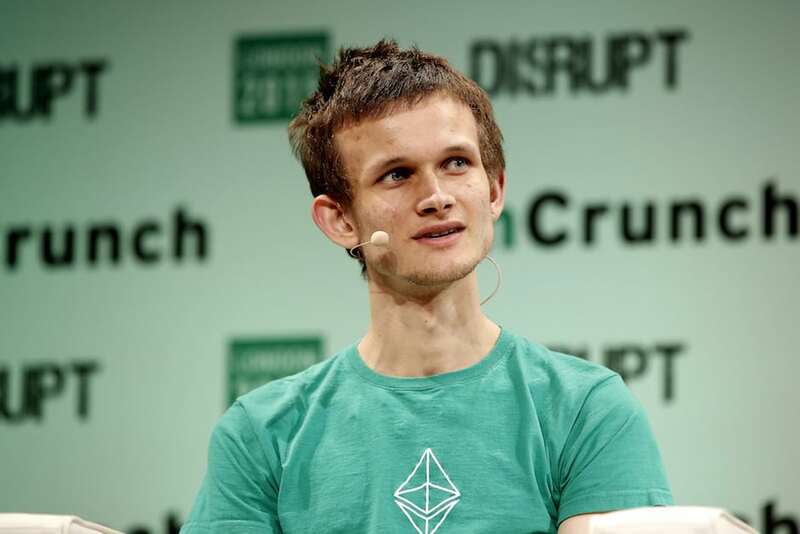 ETH has long been seen as a token used primarily for paying transaction fees, yet the popularity of Ethereum and function within ICO’s and Dapps has caused many also to perceive is as a traditional cryptocurrency. Now with the introduction of WBTC, the Ethereum network could have an official currency coin, as well as a network transaction coin. This distinction would allow both tokens to be adequately valued by the market based on what they were primarily designed for. This may result in ETH being devalued and losing its place as a top 3 cryptocurrency to WBTC. However, the increased number of transactions that WBTC would bring to the Dapp ecosystem could also result in ETH seeing a significant increase in value. In either case, the Ethereum network would benefit significantly from a Bitcoin backed ERC-20 token. One potential drawback of the WBTC implementation is the need to conduct KYC and AML checks, a process that many crypto purists believe go against the blockchain ethos of decentralization and privacy. As stated on WBTC.Network, this process will be required in order to receive WBTC or get your Bitcoin back. Although KYC and AML checks would WBTC more regulatory compliant and attractive to institutional investors, it may also serve as a significant barrier to adoption for regular crypto users, especially those who use decentralized exchanges or Dapps that offer financial services. Another negative factor to consider is whether crypto users will be fine with giving their bitcoin to a custodian in exchange for WBTC, which means they no longer own the private keys to their BTC. Most crypto enthusiasts believe that if you don’t own the private keys to your Bitcoin, you don’t own it at all. A similar debate goes on between those who choose to store their crypto in exchanges versus on hard or col wallets. However, by holding WBTC, it becomes ever more clear that you are not the owner of your BTC, as you have to comply with KYC and AML process to get it back. Ultimately, WBTC sounds like a brilliant innovation that is sure to increase the utility of Bitcoin, the value of the Ethereum network, and the adoption of cryptocurrencies as a whole. The project is still in its early stages, so it remains to be seen how users will react to the KYC or custodianship issues. At the moment, WBTC looks like it’s on track to generate the same kind if anticipation that security tokens, stable coins, and utility tokens did before it.